Cowcoody Estate, a major manufacturers exporters suppliers of Parchment Coffees, is a Division of JOONKTOLLEE TEA & INDUSTRIES LIMITED, India. Located amidst a large and natural habitat of flora and fauna at Western Ghats, Cowcoody Estate is situate at Somwarpet, Coorg District. The location of the Estate is at Manzarabad  one of the traditionally best coffee growing areas of Karnataka, with conducive climatic factors and rainfall. 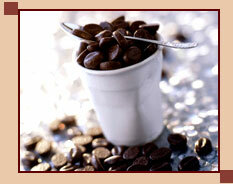 Cowcoody is a leading manufacturer exporter & wholesale supplier of quality coffee and tea products form South India. Cowcoody Estate is located in the Western Ghats of South India at 3200 to 4000 Feet above MSL, consistently producing high crops with around 300 Tonnes of Arabica and 100 Tonnes of Robusta. The Arabicas mainly consist of SLN 795 and Robusta of S274 variety. Out of our total production, 80% is Parchment Coffee. All the Parchment Coffees are pulped, naturally fermented and washed under strict supervision to produce a quality coffee product. The high quality coffee product thus producted is further processed at our own state of the art COWCOODY COFFEE CURING WORKS situated at the Estate itself. At the Curing Works, strict supervision is maintained to ensure consistency in the quality of coffee produced. Our strength lies in pure variety-wise harvest and processing at estate itself which enable us to maintain and market our quality Coffee all round the year. In addition to normal grades, We are a leading manufacturers exporters and wholesalers from south india provides our premium grades coffee products include Arabica Plantation PB BOLD, PB, MNEB and A and Robusta PB BOLD, RKR and AB. The Coffee Beans selectively picked from Arabica SLN795 variety, dried with a thin spread on barbeque tiles in order to achieve maximum quality from even drying. These Coffees are on offer to those who cherish quality with a flavour for good graded coffee. At its fully automated state-of-the-art Coffee Curing Works, the parchment coffees are pulped, naturally fermented, washed, processed and milled with consistency in quality. Cowcoody has ventured into producing Speciality Coffee with further thrust on quality and conforming to international standards. We do produce Speciality and variety coffees for private and export sales and commercial coffees for sale through Auction System. We are also a Member of Speciality Coffee Association of India. All our premium grades are regularly exposed at the Weekly Auction held under the aegis of Indian Coffee Trade Association at Bangalore, and almost regularly top the price brackets. 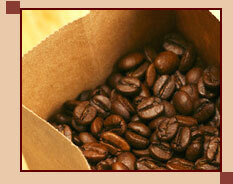 Our premium grades are in great demand and bought by well known coffee roasters and export houses. We have also entered into direct exports and shipped our coffee to our esteemed clients in Europe, America and recently to New Zealand. Cowcoody Coffee was awarded Certificates of Merit  Flavour of India  Fine Cup Award 2004 Instituted by Coffee Board, India. This is a testimony to our firm commitment to quality. To sum up, Cowcoody Coffees continues to be patronaged by Roasters, Exporters and International Buyers all over and most sought after for its even-sized beans, elegant appearance, overwhelming taste, longstanding freshness & aroma and other varied cup characteristics. 3 TEMPERATURE 12 to 30 Deg. C.
11 TYPE OF SHADE Spontaneous jungle trees predominantly of Rosewood, Nandi, Honne, Silver Oak, Neely etc. 15 DRYING Sun dry on Tables & Barbeque tiles upto specified moisture levels. 17 EFFLUENT TREATMENT Comprises of both aerobic and unaerobic methods as per the norms of Karnataka State Pollution Control Board. 1. Awarded with Certificate of Merit for the year 2004 at the FLAVOUR OF INDIA  THE FINE CUP AWARD 2004 instituted by Coffee Board, India. 2. Shortlisted by the world renowned Expresso Coffee Company, M/s.Illycafe, Italy, as one of the top ten Arabica Coffee Growers from India for supplying quality coffees during 2004 and honoured with a Certificate of Merit.